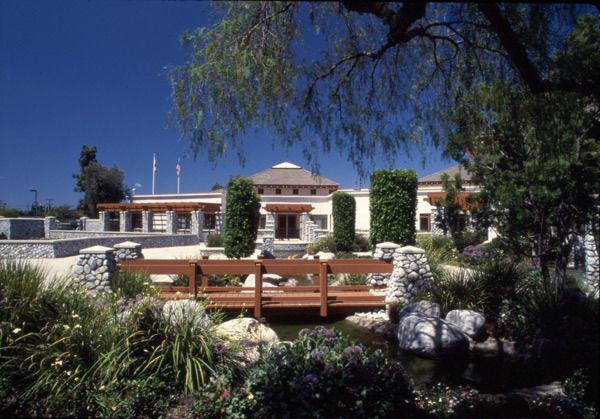 Since 1994, the beautiful Cerritos Senior Center has been a place for Cerritos senior citizens and those in surrounding communities to socialize, participate in educational and recreational programs and receive social services. The Senior Center has been a focal point for community involvement for many senior patrons, age 50 years and older. Over 526,910 daily nutritional lunches have been served. Nearly 287,801 home delivered meals have been provided to homebound seniors. Over 53,975 information and referral questions have been answered. Nearly 22,500 seniors have attended special event dances. Over 1,118,702 seniors have attended exercise classes. Over 512,422 workout visits have occurred since the 2006 opening of the 5,000-square-foot Fitness Center expansion. Senior Center volunteers have contributed more 215,643 hours of service. THANK YOU to our volunteers for your commitment to the Cerritos Senior Center and its patrons. 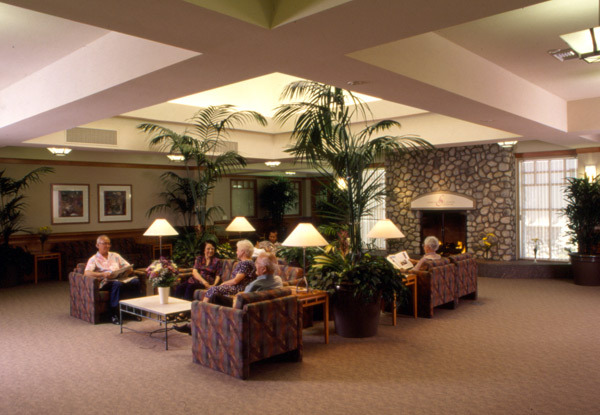 The interior and outdoor areas of the beautiful Cerritos Senior Center have been the site of approximately 3,031 private weekend reservations, hosting over 473,914 guests. These events have included wedding ceremonies/receptions, anniversary celebrations and milestone birthday festivities. The Cerritos Senior Center staff looks forward to many more years of serving the senior community of Cerritos! Directions from the 605 Freeway: Exit South Street and travel east for about one mile. Pass Norwalk Boulevard. Make a right turn on Ely Avenue. The Center parking lot is located on the left side. 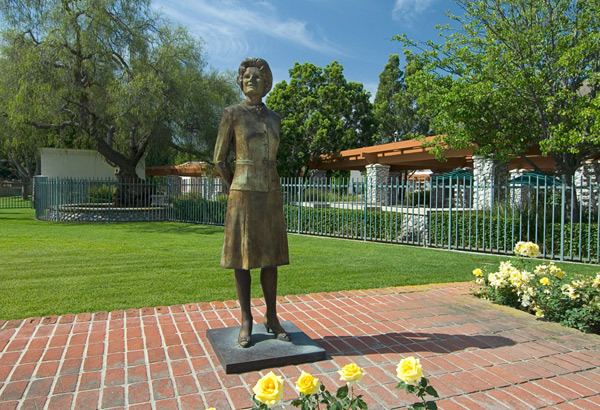 The beautiful Cerritos Senior Center at Pat Nixon Park, dedicated Saturday, January 29, 1994, is a place for senior citizens to socialize, participate in educational programs, receive human services, and enjoy recreational activities. Designed to meet the special needs of the City's growing senior population, age 50 and older, the Center provides a focal point for their community involvement. The 27,500-square-foot Center has a craftsman-style lodge architectural design with natural river rock and wood trellises around the exterior, and detailed wood framework on the windows and doors. The combined design contributes to the inviting, residential appearance of the facility.